The restaurant discount app Spotluck, which launched in Washington two years ago, has just expanded to Philadelphia and is already eyeing other cities, including New York. WASHINGTON — Restaurant discount apps have had mixed success, but one born out of a Georgetown University master’s program seems to have caught on by focusing on neighborhoods and diners’ indecision. Spotluck, which launched in Washington two years ago, has just expanded to Philadelphia and is already eyeing other cities, including New York. Spotluck features only local restaurants, excludes chains, and the random restaurant choices it generates are based on the specific neighborhood users select. And the platform makes a sort of game out of it. 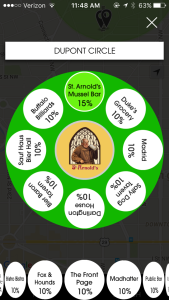 Users spin a “wheel” on the app, and, based on the neighborhood selected, Spotluck returns eight restaurant choices offering discounts at the time. “The game is pretty important. You get one spin per day, per neighborhood and that is where you are going to be awarded the highest incentive,” says co-founder Cherian Thomas. The idea is to present users making dinner plans in a specific neighborhood with options for close-by restaurants from which to choose. 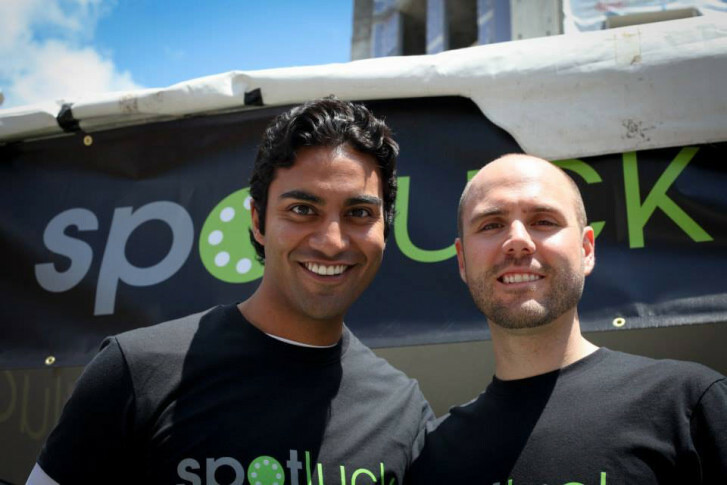 In Washington, Spotluck has grown rapidly since launching. The startup has doubled its staff and moved to a larger office in Bethesda, Maryland. Nearly 400 restaurants in the Washington area are now part of the network, and Spotluck says more than 60,000 people have downloaded its app. And it says that since launching in Philadelphia in April, that market is growing 25 percent faster than Washington. Thomas wouldn’t comment on future profitability, but Spotluck does generate revenue. It charges restaurants a sign-up fee for joining the network, and another for every diner the app brings in. The discounts restaurants offer through Spotluck change daily and are based on several factors, including the day, the time and even the weather — anything that affects restaurant occupancy. The discounts are higher on a Monday and lower on a Friday; higher if it’s raining and lower if it’s nice out. But to Spotluck’s Thomas, the secret to its success is the hyperlocal focus. “Everybody wants things now, and they want to know what’s going on in their neighborhood,” he said. Thomas and business partner Brad Sayler launched Spotluck in May 2014 with a handful of restaurants. Its network now has restaurants in close to 30 neighborhoods in the District, Northern Virginia and D.C.’s Maryland suburbs, and as far away as Frederick and Annapolis.